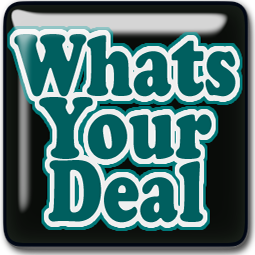 For many, the new terminology on coupons can be confusing, mostly those who are not couponers. 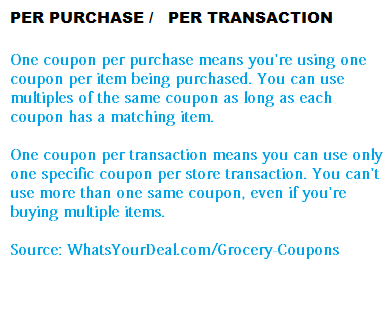 We have found that cashiers, CSMs and even store managers can be confused by the wording found on coupons. 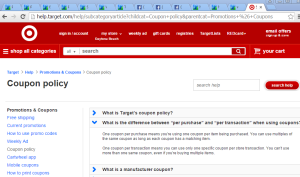 When couponers checkout with employees who are not “couponers”, and trying to follow all the guidelines on the coupons, the most frustrating thing is to be told that you can only use 1 coupon per transaction, when the coupon indicates 1 coupon per purchase. Here is HELP! 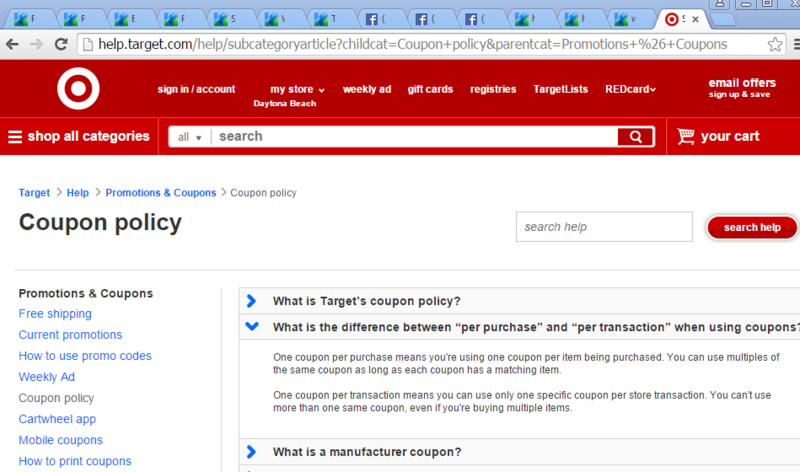 Target is the only national store that has publicly cleared up any questions about this terminology on their FAQ’s page in their coupon policy. This is ANOTHER reason we LOVE TARGET! !